The Wolmer’s Boys’ School community is mourning the death of former student athlete Calvin Kelly who collapsed suddenly and died while playing a game of football on Sunday. 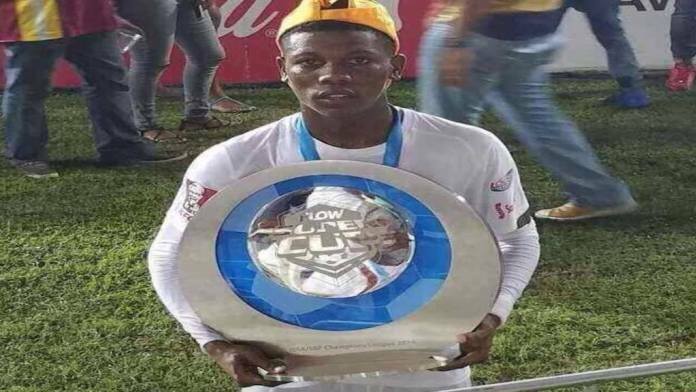 Kelly represented Wolmer’s in football and was a member of the Super Cup-winning Wolmer’s team in 2016. Kelly was a first team member of the team that lifted the cup by clipping Cornwall College 1-0. The team eventually lost to Jamaica College in the Manning Cup finals that year. Cardiac arrest is suspected but no autopsy has yet been conducted to ascertain cause of death.